The store rooms of the Ethnological Museum house close on to 30,000 objects originating from the North American Indians. The exhibition's most important aim is to show an assortment of the abundant holding, which is rich in pieces dating back to the beginning of the 19th century. The main section of the exhibtion is arranged according to five so-called cultural regions: prairie and plains, the south west, California, the north-west coast and the arctic. From each of these regions especially old and valuable collections are on show, the individual exhibits selected with particular focus on their material, economic or ceremonial significance. 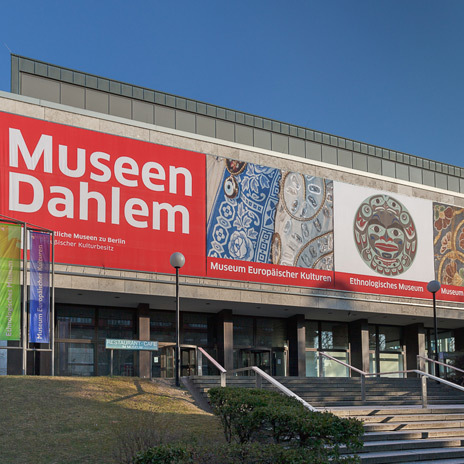 At the same time the exhibition tackles the generally held cultural ideas which have profoundly influenced our view of the 'Indian': the clichés about noble and wild savages, Karl May's 'Winnetou' and fairground Indians in Germany among other things. Nowadays the North American Indians are no longer regarded as an extinct race, an idea often propagandized in the past, but rather as a part of modern American and Canadian society in which they have to claim their place. For this reason, an overview of important historical developments which continue to shape the lives of North American Indians, both on and off the reservations, is presented. The exhibition begins with a section examining symbolically charged items seen as 'typically Indian': moccassins, medicine pouches, tomahawks and peace pipes, for instance. 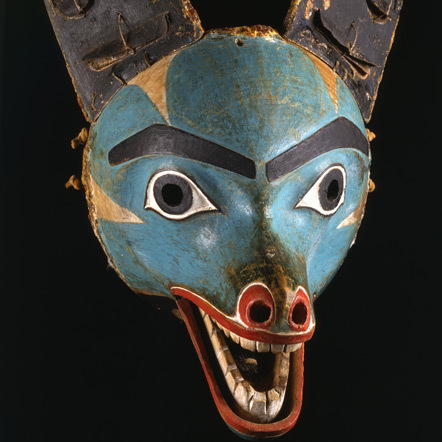 In the main body of the exhibition, each regional section ends with a selection of modern North American Indian art. These latter sections examine how North American Indians regard themselves against the backdrop of American society and assess the extent to which their culture is alive and creative.